Thomas G. Conway, an Ottawa lawyer and former treasurer of the Law Society of Upper Canada, is to receive a degree of doctor of laws, honoris causa (LL.D.) 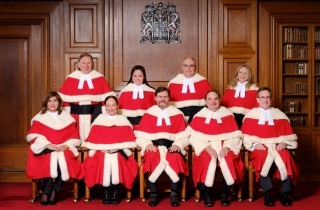 from the law society at its call to the bar ceremony in Ottawa on June 23. As part of its call ceremonies each year, the governing body awards honorary doctorates to distinguished people in recognition of outstanding achievements in the legal profession, the rule of law or the cause of justice. Recipients serve as inspirational keynote speakers for the new lawyers attending the ceremonies. 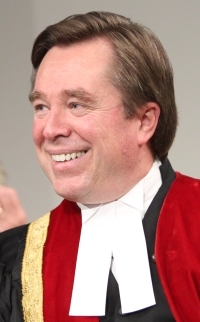 A graduate of the University of Ottawa’s law school who was called to the bar in 1989, Conway “is recognized as a highly respected and dedicated leader within the legal profession. His exceptional advocacy skills have established him as a prominent litigation lawyer in Canada,” the law society said in a news release. He was first elected as a bencher of the law society in 2007 and went on to become its 64th treasurer in 2012 for a two-year term. During his tenure as treasurer, the governing body dealt with a number of challenging issues, including alternative business structures, the Pathways Project, tribunal reform and Trinity Western University’s application for the approval of a law school. Indigenous issues and engagement were also prominent. In 2014 and 2015, Conway served as president of the Federation of Law Societies of Canada. 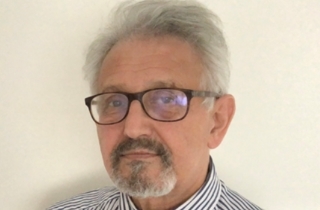 The litigator at Conway Baxter Wilson LLP in Ottawa is a former president of the County of Carleton Law Association and was an adjunct professor of law at the University of Ottawa from 2004-09. Law society treasurer Paul Schabas is to award the honorary degree to Conway, who will then deliver the keynote address to the 256 new lawyers attending the ceremony. More than 1,600 new lawyers will be called to the bar at six ceremonies throughout Ontario in June.